Grounded in research done by examining the clinical practices of five exemplary psychotherapists, On Holy Ground explores the relationship between psychotherapy and spirituality. This book addresses the religious and spiritual issues that mental health practitioners are not normally effectively trained to handle. It presents an overview of the history of the relationship between psychology and spirituality, including a review of contemporary literature related to the subject. The author's main emphasis falls on his interviews with five psychotherapists whose spirituality is at the center of their lives and work. 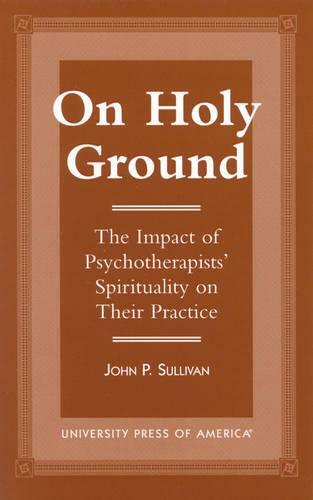 Sullivan's analysis of these interviews includes a discussion of several common core themes, such as views of the person and the process of therapy as inherently psychological and spiritual, respect for the freedom of clients, and the place of prayer and meditation.